LOT LG37, Empire Shopping Gallery, 47500 Subang Jaya, Selangor. Go down one floor from the information counter, and you will find Empire Mall's famous indoor slide. The shop is located nearby to the exit of the slide. 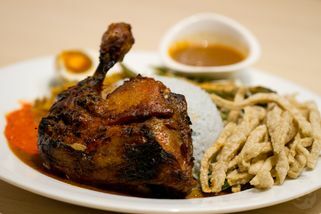 Serai @ Empire offers an excellent range of Malay, Thai, Western and fusion main dishes and desserts. 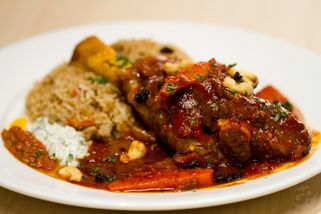 They are particular about serving good quality, fresh and tasty food. They also pay attention to maintaining a high level of consistency both in their food and in their service. The simple decor, well-lit with clean lines accented with greenery and fresh flowers, makes for a pleasant and comfortable dining experience. 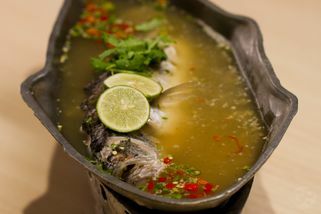 Signature dishes include Serai Platter, Steamed Fish with Lime Sauce, Middle Eastern Medley and Nasi Kerabu. They also come up with a new dish to their own recipe every 2 or 3 months. 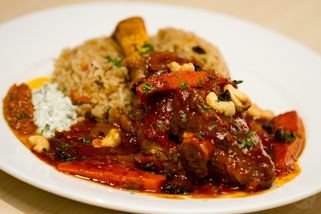 I went to Serai quite a number of time to know that it is a sister restaurant to the Serai at Sec 3 Shah Alam. Overall, I like their Serai Platter and Pavlova for dessert is a must. Quite a crowd during lunch time and on weekends. I went to serai with my family about two weeks ago, and it was packed! perhaps thats why some of our orders took a long time, but other than that service was pretty ok and attentive. They have a fun selection of drinks and deserts. Some of their rice dishes were ok-ok. but their appetizers were yummy like the deep fried egg plant chips! Have u guys try their pavlova? It's really good! I like their restaurant decoration as well - very cosy and pretty relax. Lovely food. They pride themselves as serving your order exactly as you see it in the menu. Great presentation, superb taste. 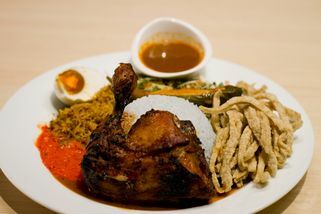 I recommend the Serai Platter where you get to taste some of their signature dishes on one plate. Their Satays are chunky and full of flavour. Price is a little bit on the high side, but you definitely get your money's worth. Best to call in advance to make reservations. 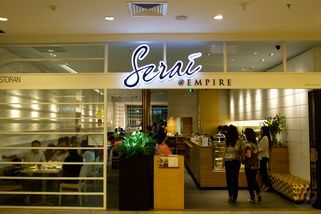 This particular Serai is in the Empire mall, with quite a large number of seats. The interior is designed nicely, and the weekend crowd seems to never stop flowing in. And for good reason. The local cuisine here is delightful. With a bit of twist and some fusion, the dishes here bring out some of the best elements that the local food has to offer. The portions are quite generous as well. Great value for your buck! 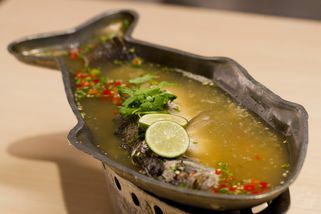 I especially liked the "Steamed Fish In Lime Sauce". Mmmmm. Yummy.